JS Monsta Box restock – we have just got a restock of key Sizes in the JS Monsta Box with coloured rail sprays! The Monsta Box is two of JS’s best selling models combined into the one board (The Monsta 3 & The Blak Box II) – creating a model that’ll work for a broader range of surfers and in a wider range of conditions. This Monsta Box model has less rocker than the Monsta 3 but a touch more curve than the Blak Box II. The outline is more generous than the Monsta 3 and but not as broad as the Black Box II. The tail block also sits somewhere in between these two models with a nice hip drawing back into a rounded square tail. 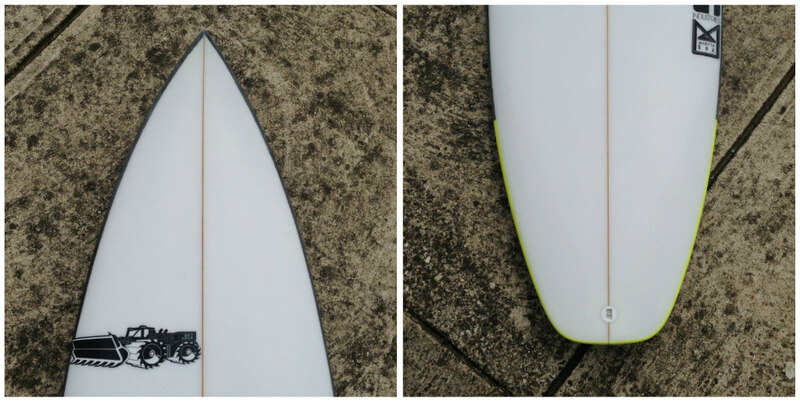 A sweet single to double concave will give you plenty of lift to help you get up and running in quickly. 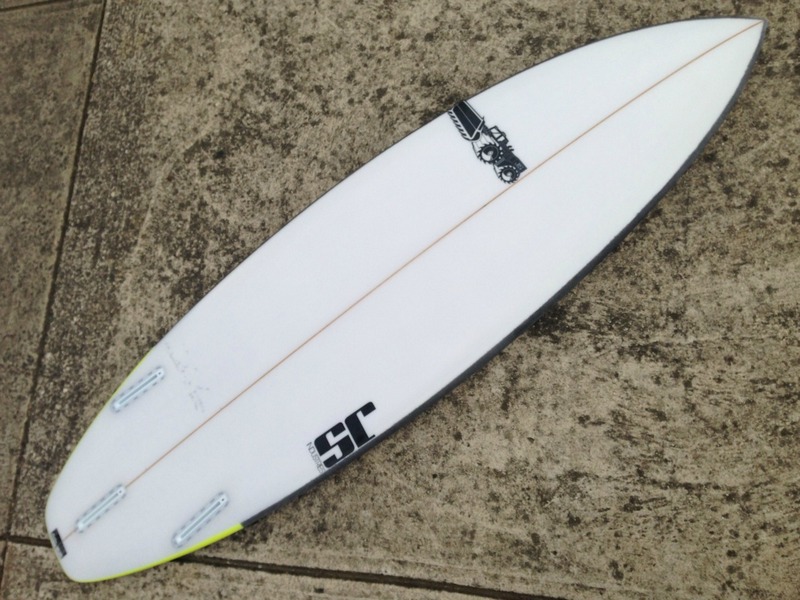 Advanced surfers will find this board a great choice for smaller, weaker, flat faced waves. 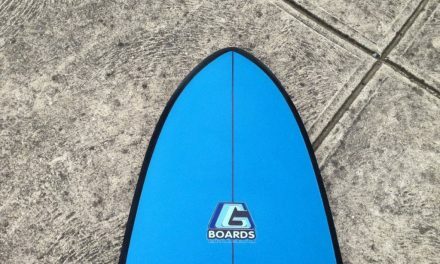 The extra paddle power and speed you will get from this model compared to most performance shortboards will keep a smile on your face in more marginal conditions. 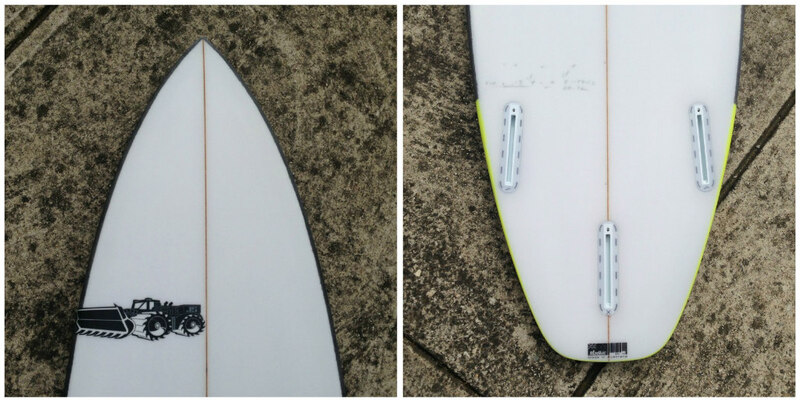 A board that works well in the mush but can be surfed in decent waves as well – if needed. 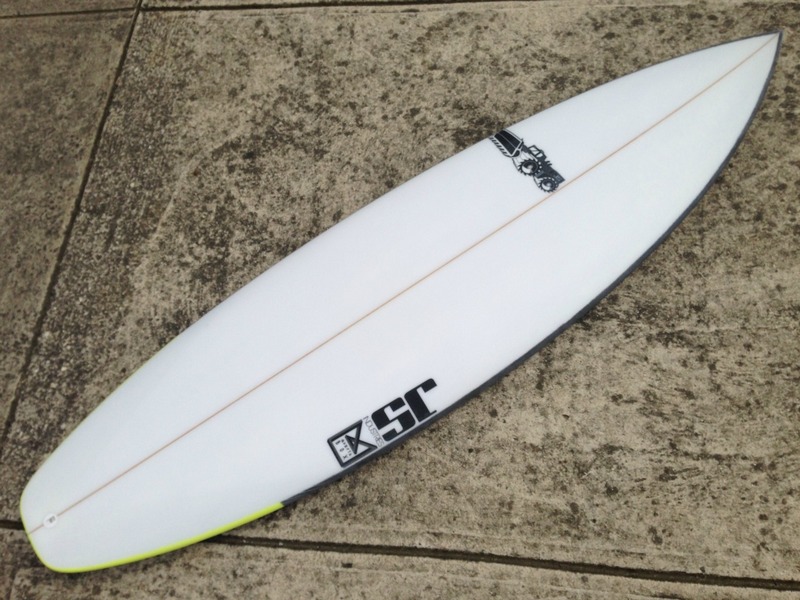 Less skilled (or less regular) surfers will probably find this board a great choice as an all rounder. One of those designs that does an excellent job of combining forgiving and performance elements.